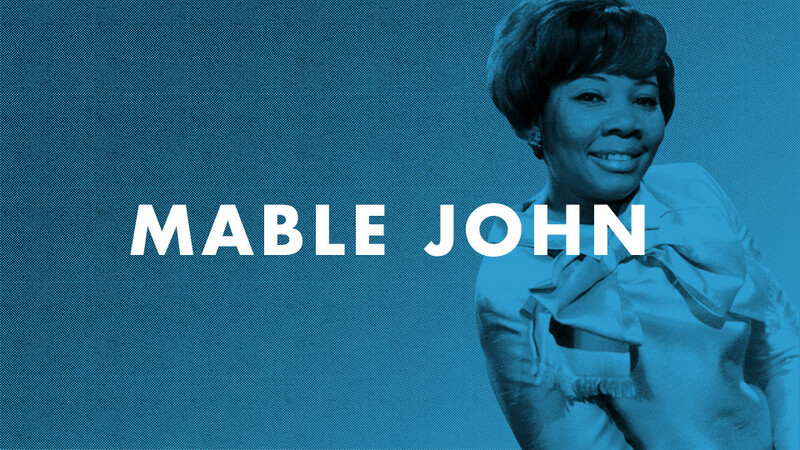 Little Willie John helped invent soul music, and his older sister Mable John also boasts soul to spare. Born in Bastrop, La., she moved to Detroit with her family at age 12. Berry Gordy groomed Mable as a performer long before he signed her to his fledgling Tamla label in 1960, writing her debut 45, "Who Wouldn't Love A Man Like That." After three Tamla followups, Mable found her way to Memphis-based Stax in 1966 and enjoyed the blues-kissed smash "Your Good Thing (Is About To End)," encoring with another half-dozen sparkling Stax releases. When Ray Charles invited her to join his Raeletts in 1969, John accepted, fronting their 1970 hits "I Want To (Do Everything For You)" and the rousing "Bad Water" for Brother Ray's Tangerine logo. Dr. John has long been the pastor of Joy in Jesus Ministries in her adopted L.A. homebase.